it's a G240 from a 83 E21. it will not bolt up to a M42, only the M10. it does have a speedo drive. the way you can tell is the shifter. the M42's G240 uses the beam type shifter like shown on the G260, but the M10's G240 uses the sheetmetal shifter with 2 mounting bolts. also the M42 has 2 rear trans mounts, the M10 has only one. i payed $50 for one. the E21 guys don't want them because. * you have to source a 83 driveshaft, * the G245 is a stronger box. the reason i bought one is to swap the tail section onto my M42's box so that i have a speedo drive. the G260 E21 would use the sheetmetal shifter [bottom]. so what is pictured is a E21 G240 and a E30 G260. 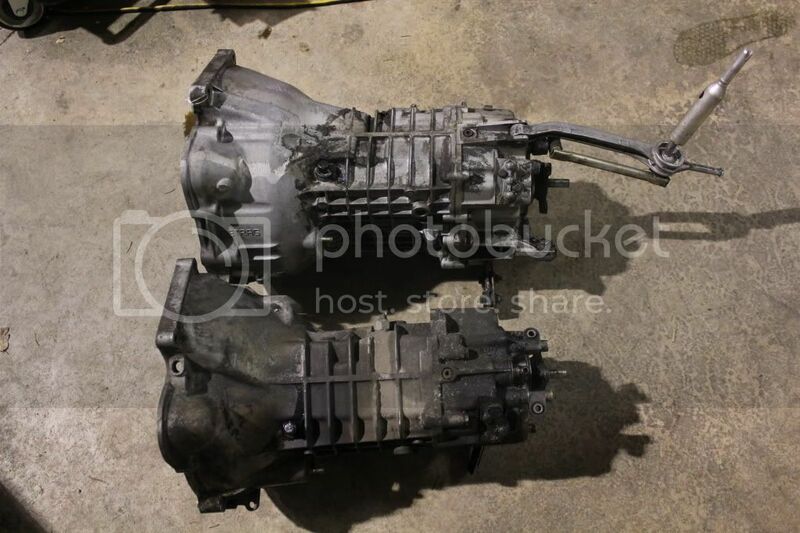 Your transmission is worth something to 83 owners, since it's harder to find these than the G245. Some 2002 owers use them for swaps too, but the 245 is more popular with them. Layne - The "G240" etc tells you what gears are inside the box. It doesn't tell you what engine it fits. In the same way, there's a G245 for M10's and a G245 for M20's. This leads to assumptions such as Bflan made above that it's the same transmission and it is not. NO 92mm bore spacing engine (M42, M20, M50/52, S52/54) with interchange transmissions with any 100mm bore spacing engine (M10, M30, S14, S38). M10 and M20 bell housings are exactly the same shape, but slightly different size. LJ851 - there is an easy way to determine M10 vs M20 and that is the distance between the upper two bolt holes below the cylinder head M20 has a much wider spacing than M10.